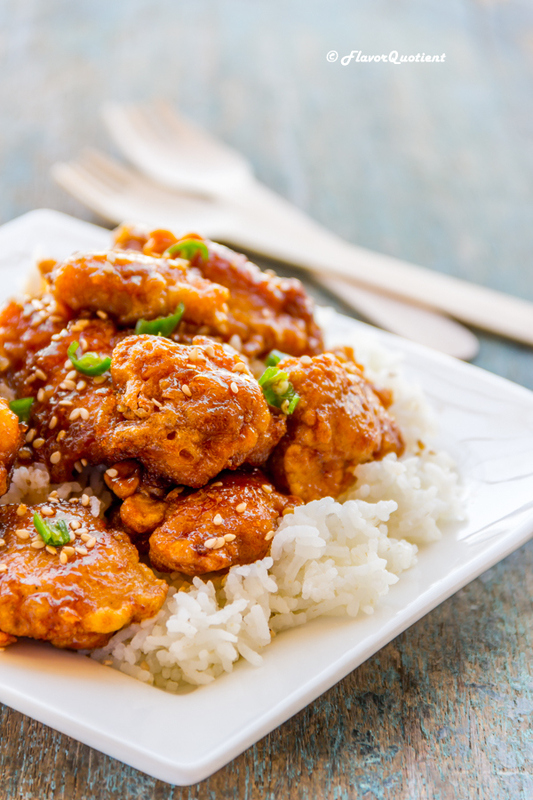 Baked sweet and sour chicken is the trendiest thing on internet at the moment and for very good reasons! 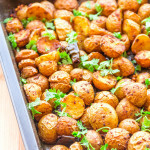 They are incredibly tasty and utterly easy to make! Here is how! 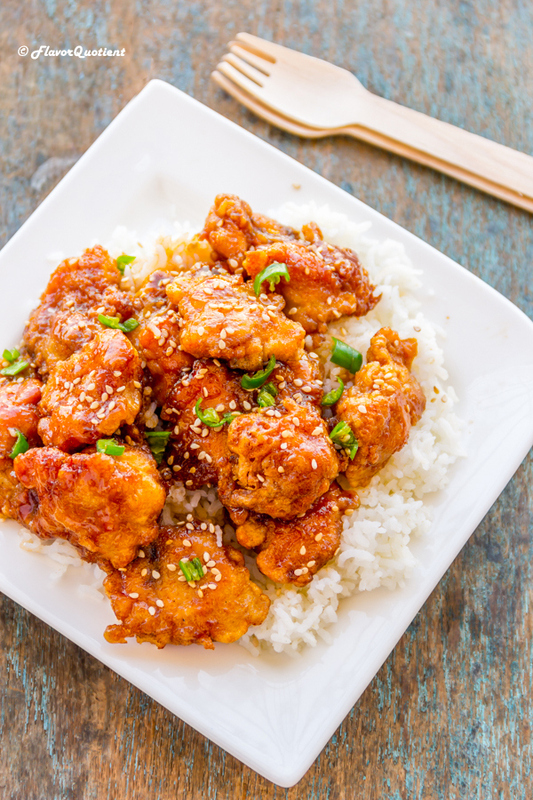 We are generally very familiar with Chinese cuisine inspired stir fry dishes; but my today’s recipe of baked sweet and sour chicken will bring in the exact same super flavor but with half the calorie of stir fried delicacy! 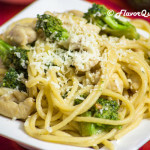 It may seem a little odd to post a healthier alternative of stir fry recipes immediately after sharing two of my favorite stir fries back to back – Indian spiced chicken stir fry and chicken & mushroom stir fry. But I simply could not hold it back! After tasting this baked sweet and sour chicken, I deemed it inappropriate to keep you all deprived from such an incredible item. 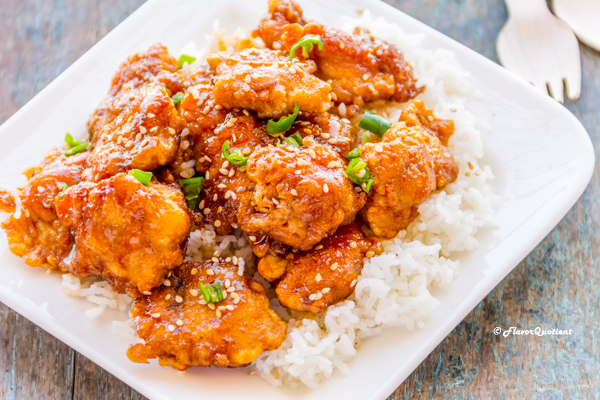 The baked sweet and sour chicken has everything in its name – it’s delightfully sweet and mischievously sour with a mild hint of heat which is almost unnoticeable! And to top it all, it is baked to perfection to create the juiciest and softest chicken you have tried ever! I had previously shared a fried version of sweet and sour chicken but that was a different era of my blogging with pictures and stories not too worthy to mention. But yes, they were significant because that’s where our journey started and we discovered this world of blogging treasures. 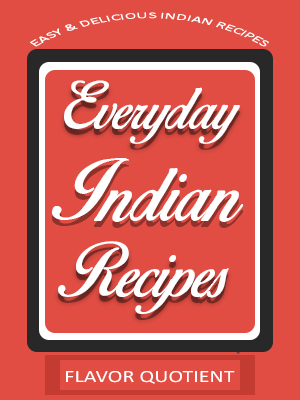 Blogging has taught us many things apart from cooking dishes from across the world – like working together, planning together, partnering together! All these learnings have been the most enriching experience so far and we look forward to the many more years of learning to come! 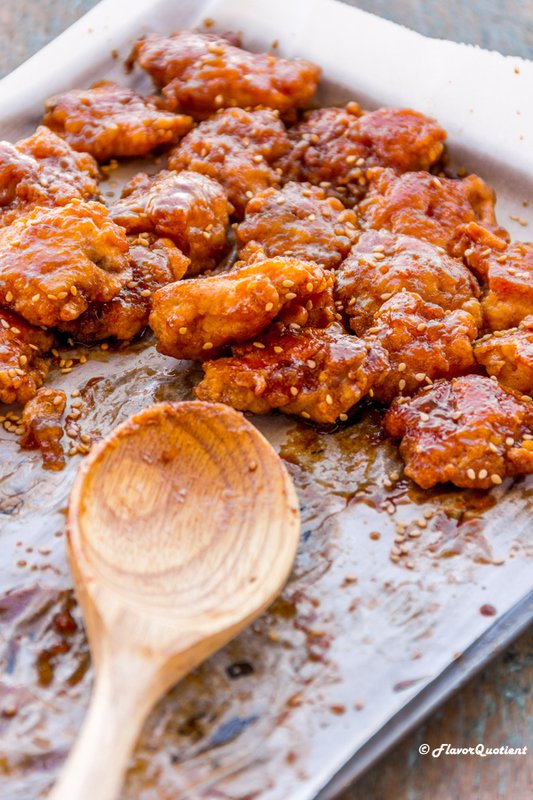 Take this recipe of baked sweet and sour chicken for example. I have mostly prepared chicken stir fry with various combination of sauces. Now that I know that baking the half-fried chicken cubes make them way more juicier, chances are very high that I would be rolling back for stir fries from now on, at least for some time, except of course the stir fried noodles or rice as they are simply irreplaceable! 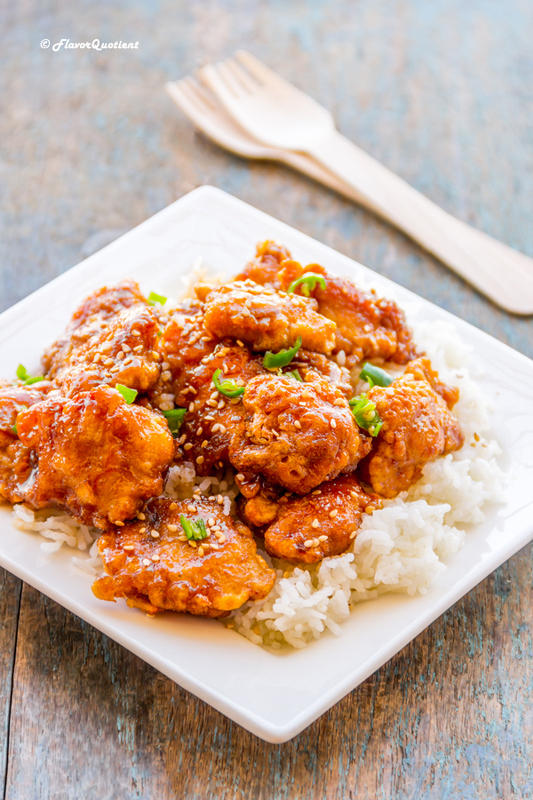 I realized 2 more benefits of this baked sweet and sour chicken – firstly, it is a great make-ahead dish. You keep the chicken fried half way through. Next day you can just toss it up with the sauce and then bake for 30-45 minutes until succulent and completely cooked through. Secondly, stir fry dishes need to served immediately while hot, else they lose all their crispiness becoming quite soggy and even refrying doesn’t help much. But with the baked sweet and sour chicken, you wouldn’t need to worry about that. You can serve them hot just after taking them out of the oven and then you can store any leftover (although I doubt there would be any!) 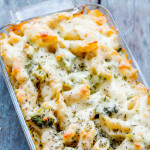 in the refrigerator and reheat next day without sacrificing any of its yumminess! So you see, the baked sweet and sour chicken is always a winner and will make you everyone’s best friend! In a bowl, whisk together sugar, white vinegar, apple aider vinegar, ketchup, soy sauce and garlic powder to make a uniform sweet & sour sauce. Set it aside. Preheat oven at 160 C / 325 F and line a baking sheet with parchment paper. Set it aside until needed. Cut boneless & skinless chicken thighs into small bite size pieces. Season it with salt & pepper (go easy with salt as the sauces used are already very salty). Add corn flour / corn starch to the chicken and give a good mix using a spatula or your hands to coat each piece evenly with corn flour. Now take one chicken piece at a time and dip it in the beaten egg, lift it up and let the excess drip off. Put the dipped chicken in a bowl. Dip all the chicken pieces separately in eggs and set them aside. 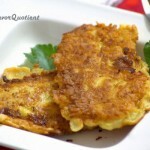 Now heat the vegetable oil in a frying pan or skillet. Add the coated chicken pieces and fry them in batches until light golden on both sides. This would take about 2 minutes each side on medium-high flame. The chicken will not be completely cooked through at this stage and that’s what we want as we will be baking them in oven. Once all the chicken pieces are fried, put them into a large bowl and pour ¾th of the prepared sweet & sour sauce on top. Mix them with a spatula evenly coating each piece with the sauce. 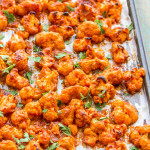 Arrange the coated chicken pieces on the prepared baking sheet in a single layer. Brush extra sauce on top. Bake the chicken in preheated oven for 30 minutes. Then take them out and flip the chicken over. Brush some more sauce on the flipped side of the chicken and broil them for 10 more minutes. Sprinkle sesame seeds and garnish with freshly chopped green onions. Serve hot with rice and drizzle extra sauce on top! Enjoy! My stomach didn’t just growl, it roared. I am absolutely obsessing over this!